Women, particularly postmenopausal women, may derive special benefits from exercise because excess body fat has been associated with increased risk of postmenopausal breast cancer. I teach group fitness classes at Total Woman Gym + Spa. I have the pleasure of seeing woman transform themselves and get healthy. You can too with consistency and commitment to an exercise program. Do it for yourself and your family. Health is wealth! October is National Breast Cancer Awareness Month, so get up, get out and go! Linda Eichberg Group Fitness Instructor with students: Riley, Kim and Sonia. These are some of the ladies I have taught. Two of them are mother and daughter. It brings a smile to my heart when mothers and daughters exercise together. In a randomized trial of 400 postmenopausal women who were evenly split into two groups, either 150 minutes or 300 minutes of vigorous exercise per week, the women who exercised more averaged more total weight loss. Any aerobic activity that raised the heart rate 65% to 75% of heart rate reserve was allowed. Most of the activities involved walking, the elliptical trainer, bicycling, and running. So it doesn’t necessarily mean spending a lot of money to get fit, just the price of some good running shoes. 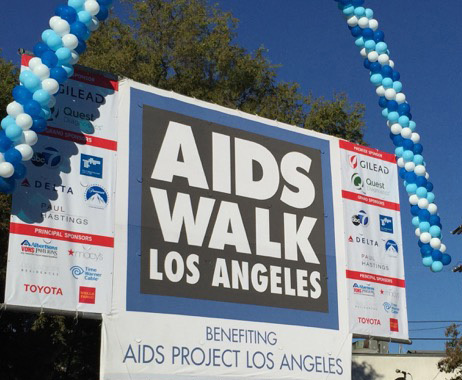 On October 11, I completed a cardio fait accompli at the 2015 AIDS Walk Los Angeles 10K. It was a hot 100 degrees that day. Talk about burning fat!! 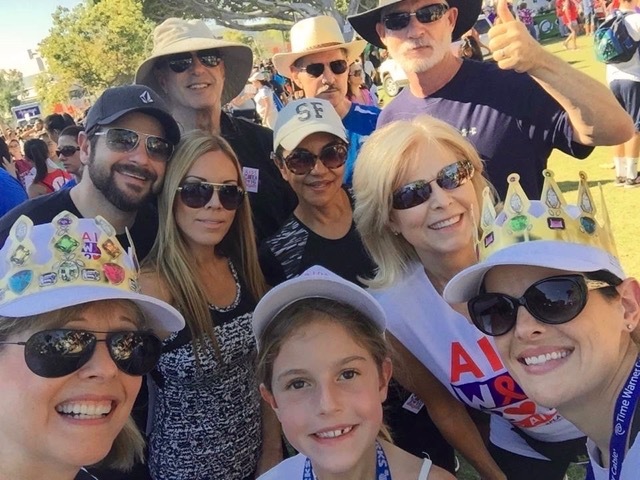 Our team raised over $7,500.00 to help APLA with the wonderful work this organization does in educating the community, helping people living with HIV and AIDS research. We all made it! Hot and tired but what an amazing feeling to know we were part of such a wonderful cause. Erin and Alison are wearing crowns because they were top fundraisers. Way to go ladies! My grand nice, Riley at the finish line. I’m so proud of her! Look who we ran into after the walk, Drew Carey! 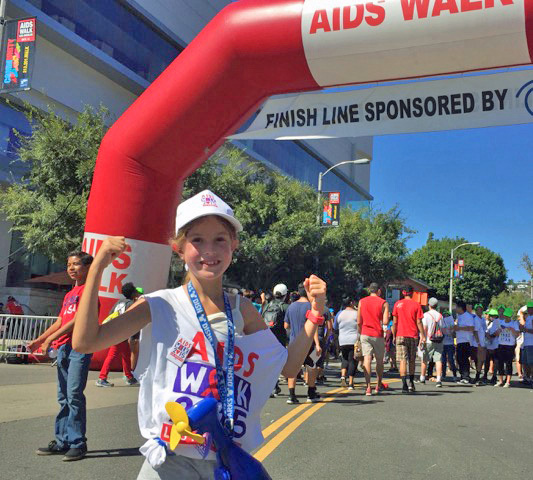 Drew is a big supporter of the AIDS Walk Los Angeles. He was charming and so sweet to pose for a photo with us after a long day! 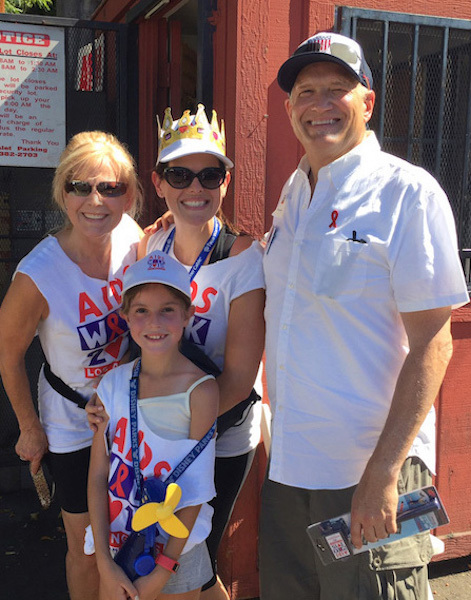 My family and friends walked in memory of my brother-in-law, Rob Eichberg and step brother-in-law, David Greenes, both of whom died of AIDS. 3. Rob Eichberg was a PhD in Psychology. He shared his knowledge, understanding and love with the gay community and their families. His teaching on unconditional love brought wholeness to the broken. He authored the book “Coming Out: An Act of Love” and co-founded, National Coming Out Day.